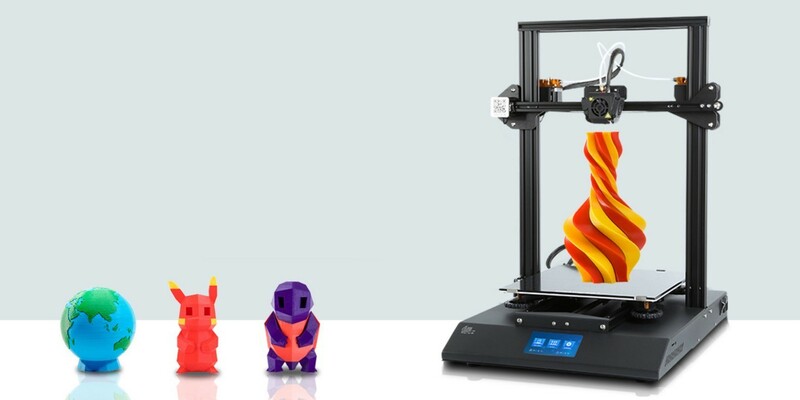 3D printer reviews: Creality3D CR10, Creality3D CR ENDRE 3 and Creality3D CR10S. Here is a description of the Creality3D 3D printers which have a very good quality/price ratio and which have already conquered many makers all over the world. You can buy these 3D printers on Gearbest by taking advantage of our good deals placed in this article. 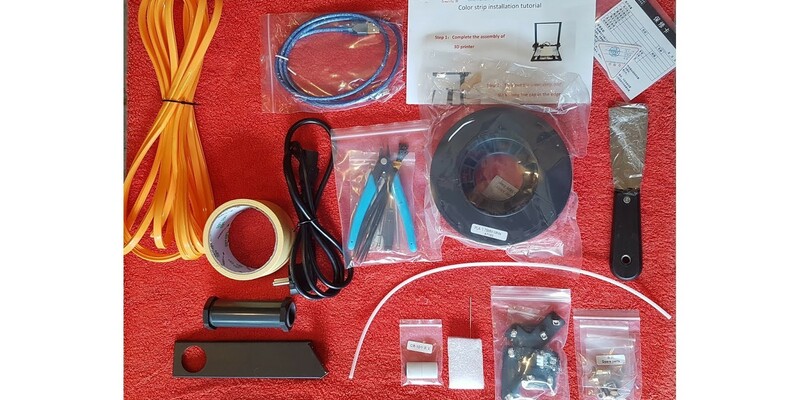 Quite complete, this Creality3D CR10 3D printer is to build yourself (DIY), but rest assured there are really few parts to assemble! 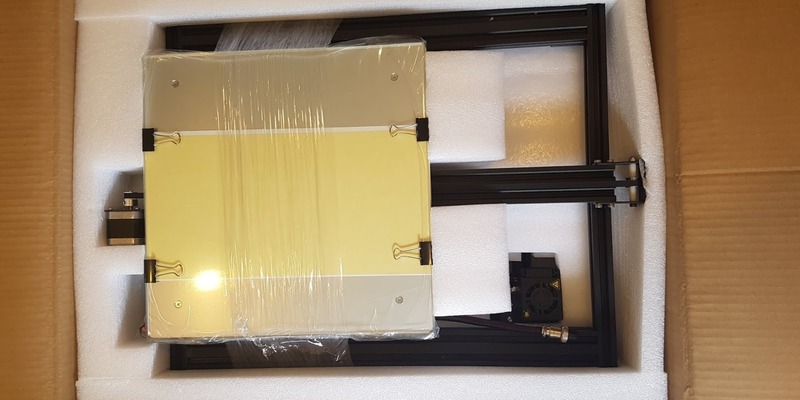 It includes an aluminium frame, a heating plate, a LCD screen, a 300 x 300 x 400 mm printing surface, as well as compatibility with PLA, wood, ABS, TPU and transparent filaments. 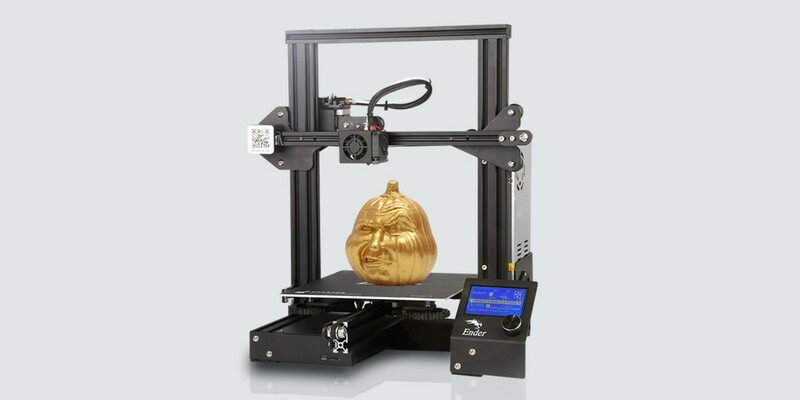 Its print head is very resistant and the 3D printer makes less noise than previous models. First impression made with the 3D files 'models' present on the SD card. Very very very correct printing. Details are present and no alterations are necessary. The Creality3D CR 10 - BLUE EU PLUG is available at 333.89€ with promo code E3MRP9QFKU. Creality3D has built a reputation in consumer 3D printing in just a few months, thanks in particular to its very popular CR10 model, a high-volume 3D printer offering quality assembly, exemplary reliability and outstanding print quality for a contained price. The brand is reoffending this time with the Ender 3, a version more compact than the CR10 which retains certain advantages, but which wants to be more accessible. 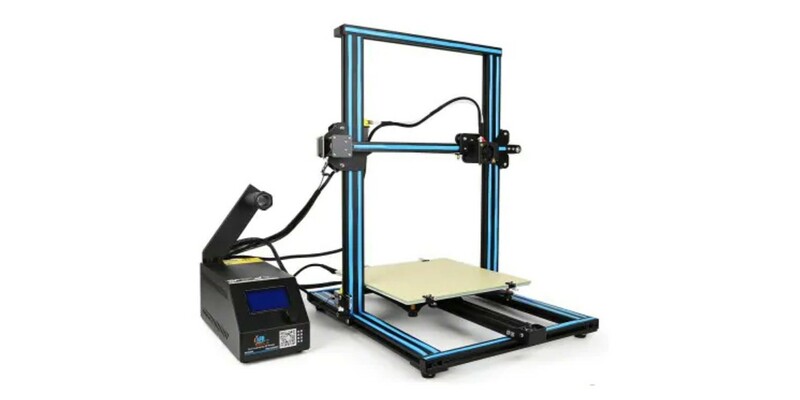 The Ender 3 is a cartesian 3D printer FDM, either by melt deposition. It offers a pre-assembled structure with a heating plate and aluminium rails. The trolleys are mounted on rollers with eccentric screws, it is equipped with a OLED control screen and is particularly compact. Where the CR10 relies on a remote control box, here everything is directly integrated into the machine structure. The motherboard is located in a case located under the printer, the screen on the side and the power supply behind the right Z axis. 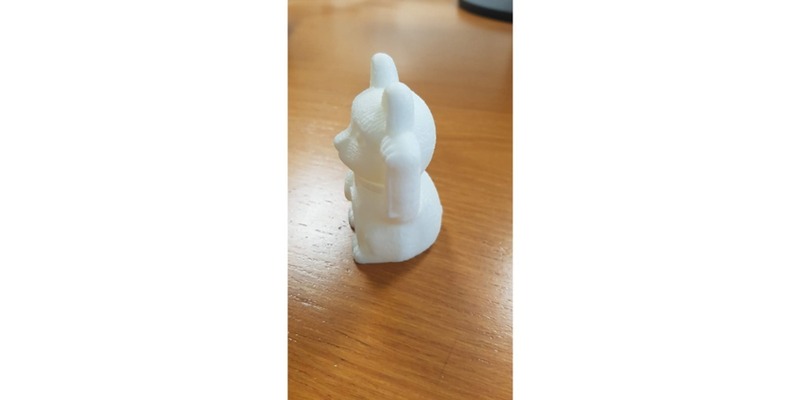 Its print volume remains interesting: 220 x 220 x 250 mm for an accuracy varying from 0.1 to 0.4 mm per layer height and a maximum speed of 180 mm/s. It borrows some functionalities from the CR10S, in particular the resumption of printing in the event of a power cut. The Ender 3 is capable of printing most filaments: ABS, PETG, PLA, TPU, loaded or flexible filaments... In addition, wear parts and spare parts for this type of device are very easily available on commercial sites at very attractive prices. The Creality3D CR Ender 3 currently enjoys a very aggressive launch price of 155.7€ at Gearbest. This is the CR10S 3D printer, the improved version of the CR10. 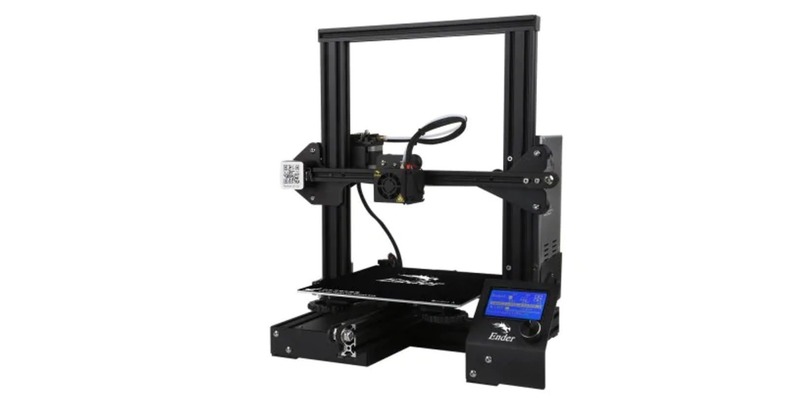 It has a double Z axis with 2 motors, a filament detector to stop printing in case of filament breakage and the controller is able to resume printing even after a power cut. Moreover the controller is easily flashable with a Marlin firmware. 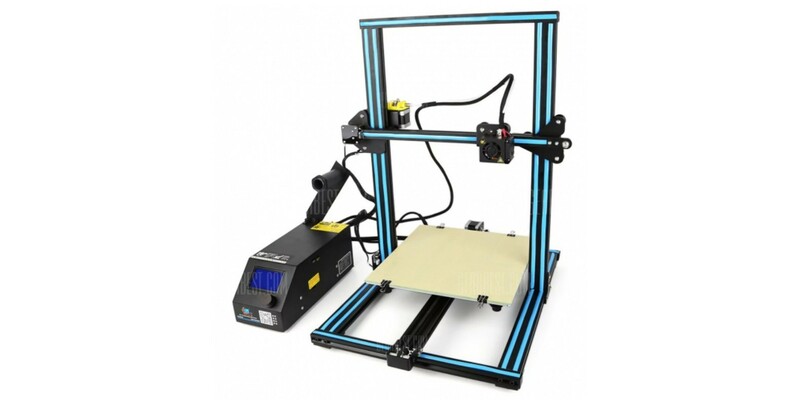 The Creality3D CR10S Desktop DIY 3D Printer is available at 354.65€ with promo code GBCR10STY. 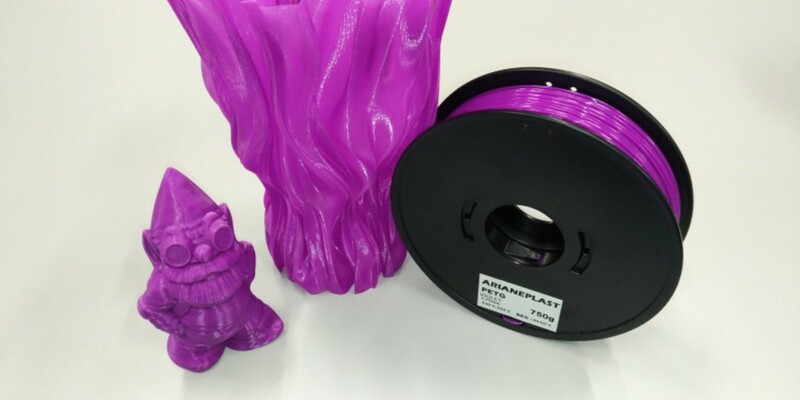 We are excited to announce that we are partening with ALL3DP to integrate their price comparison engine for professional 3D printing into Cults platform.